Benjamin Zhang/Business InsiderOur Nissan Rogue Sport test car. The Nissan Rogue Sport is helping Nissan beat Honda and Toyota in the race to sell the most crossover SUVs. 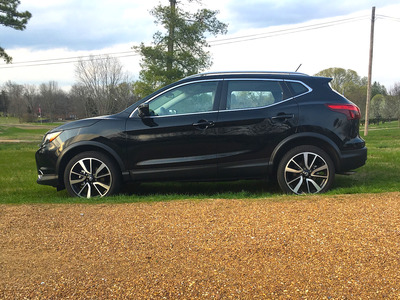 The Rogue Sport arrived in the US for the 2017 model year but has long been a hot seller internationally as the Nissan Qashqai. The base Nissan Rogue Sport starts at $US21,640 while our top-spec SL AWD test car cost $US31,380. We loved the Rogue Sport’s styling and functionality but was disappointed by the anemic performance of its 141 horsepower engine. The Nissan Rogue is the best selling crossover SUV in America. In a market with an almost insatiable appetite for these vehicles, the Rogue now reigns supreme over its closest rivals from Toyota and Honda. But there’s a catch, the Rogue is actually two different vehicles. 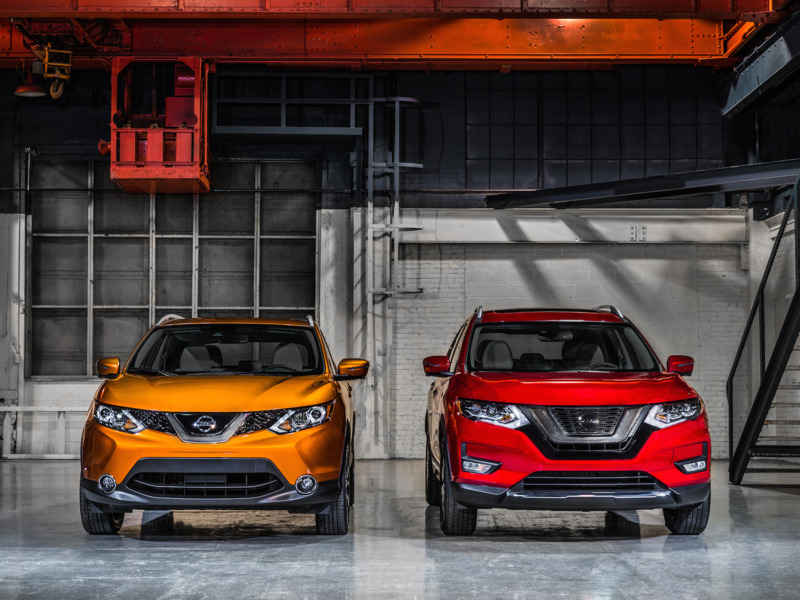 There’s the compact Rogue and the subcompact Rogue Sport. 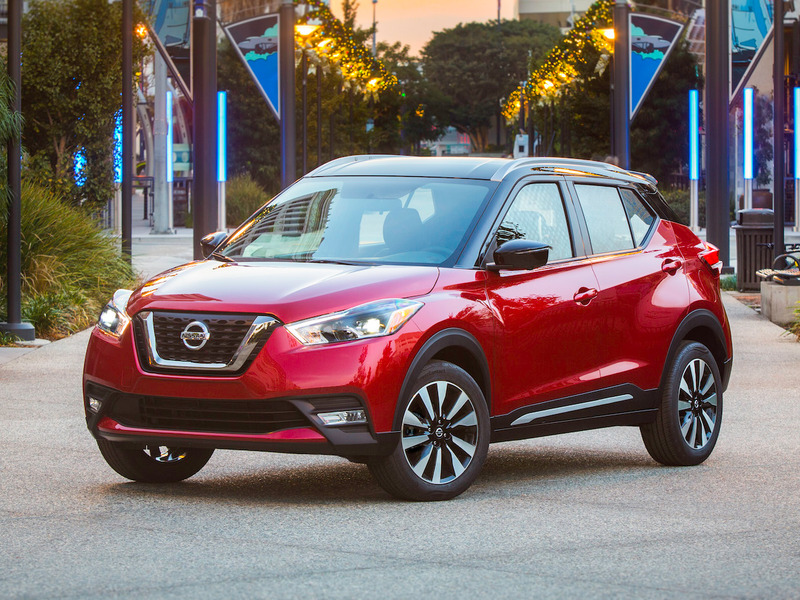 Nissan North American does not separate the two models when it reports sales figures. 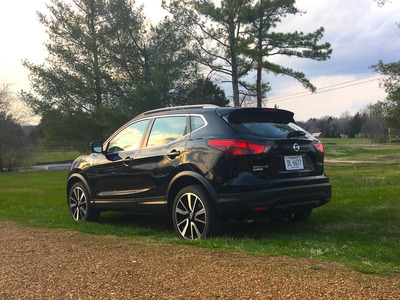 Fortunately for the Franklin, Tennessee-based outfit, even when you merge the sales figures of Toyota’s RAV4 with its subcompact C-HR and Honda’s CR-V with the subcompact HR-V, the Rogue still emerges victorious by a substantial margin. 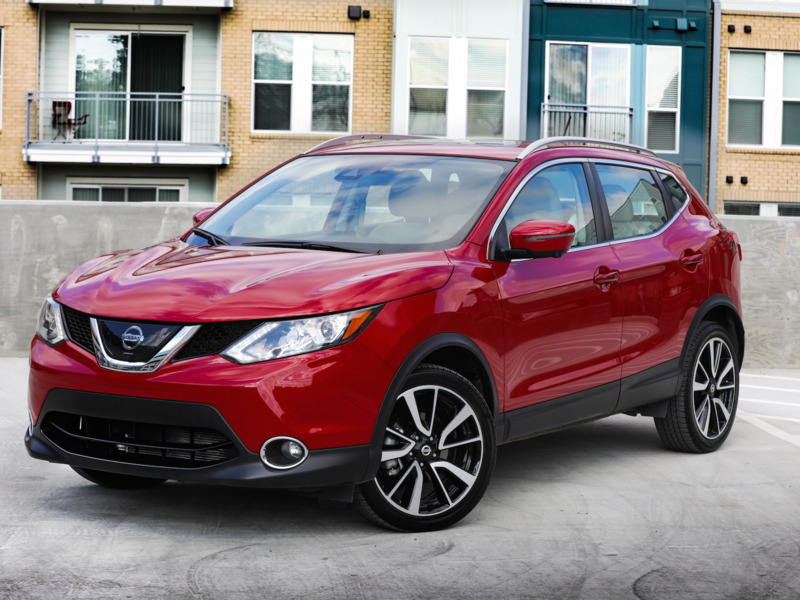 Through the first two months of the year, Nissan sold 74,303 Rogue and Rogue Sports in the US. 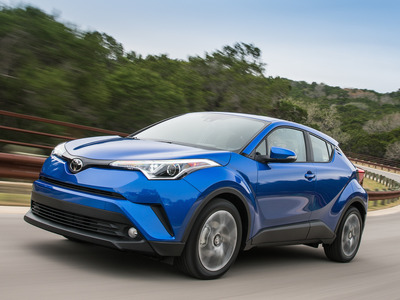 Toyota’s RAV4 and C-HR duo moved 64,888 units. While Honda’s tandem of CR-V and HR-V recorded 63,228 in sales. Much of the Rogue’s recent surge in popularity, outside of its tie-in with Star Wars, can be attributed to the arrival of the Rogue Sport in 2017. The Rogue Sport will be a familiar sight for many of you outside of the US. It’s been a hot seller for years as the Nissan Qashqai (pronounced Kash-Kai). The Rogue itself is sold internationally as the Nissan X-Trail. 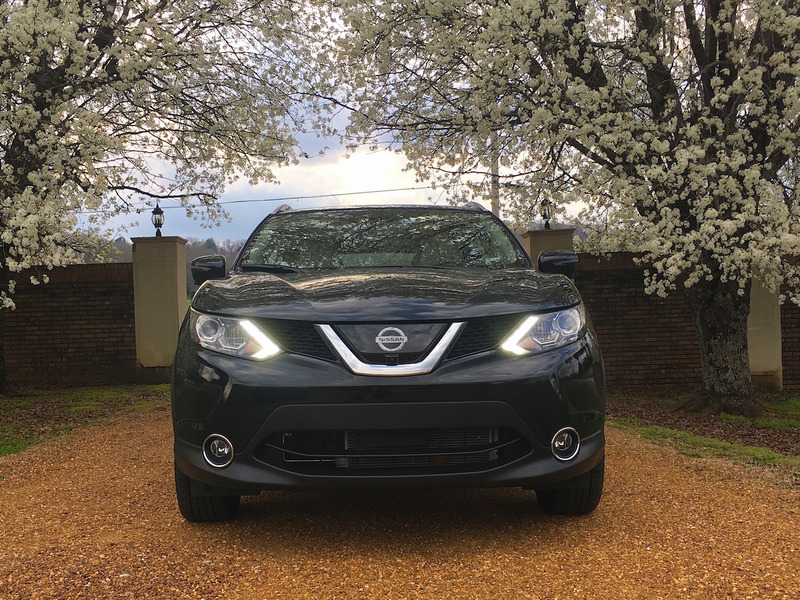 Recently, Business Insider had the chance to spend a few days with the Rogue Sport in Nashville, Tennessee. Waiting for us at the airport was a black 2017 Rogue Sport with AWD in top-spec SL trim. The Rogue Sport carries over virtually unchanged for the 2018 model year. The base 2018 Nissan Rogue Sport S FWD starts at $US21,640 while an AWD SL has a base price of $US27,640 ($AU35,000). 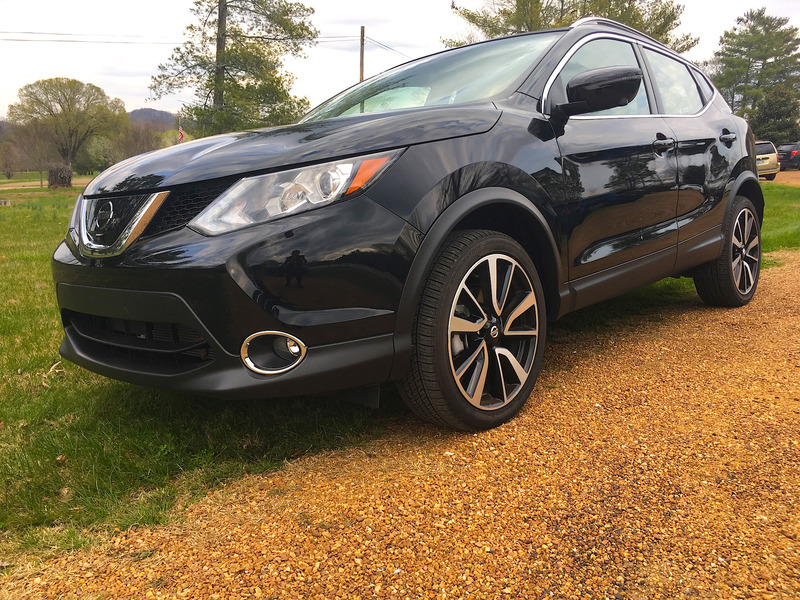 Our 2017 Nissan Rogue Sport SL AWD test car carries an as-tested price of $US31,380 after options and fees. Here’s a closer look at the Nissan Rogue Sport/Qashqai. … Nearly half a foot shorter in height. The Rogue Sport is also about 200 pounds lighter. 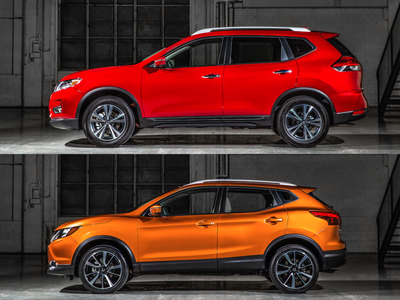 In Nissan’s lineup, the Rogue Sport slots in below the Rogue and above the new Kicks mini-crossover. The Kicks replaced the awkwardly styled Juke for the 2018 model year. 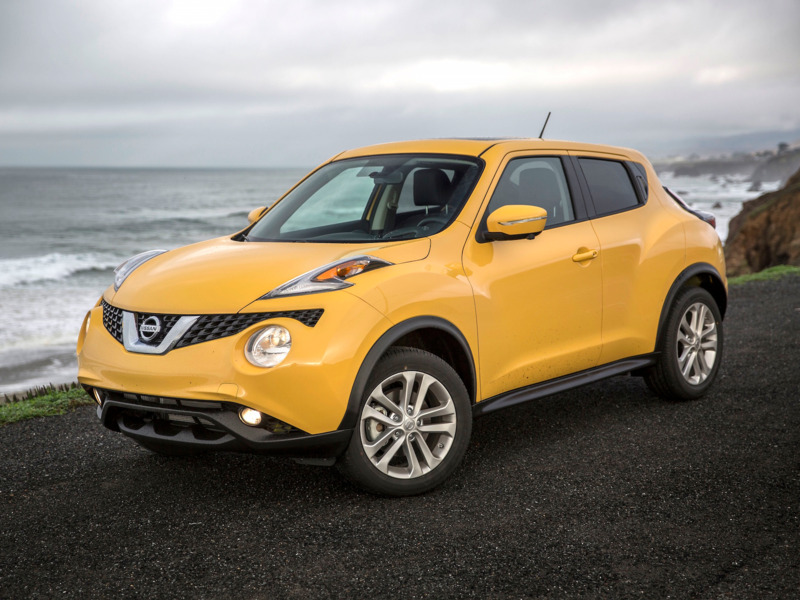 Even with its weirdness, we were sad to see the Juke go. 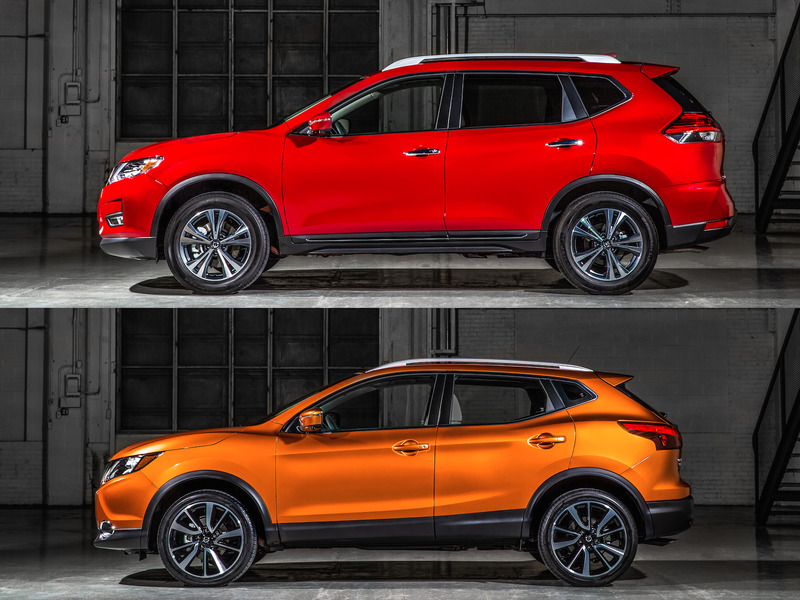 Aesthetically, the Rogue Sport’s subtle and stylish take on Nissan’s V-motion design theme is a major success. 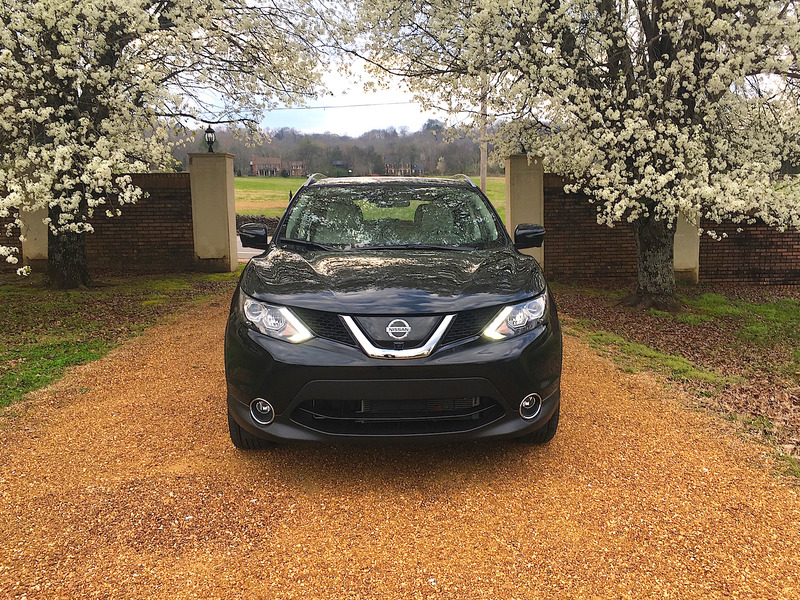 Overall, the Rogue Sport is well proportioned and pleasing to the eye. 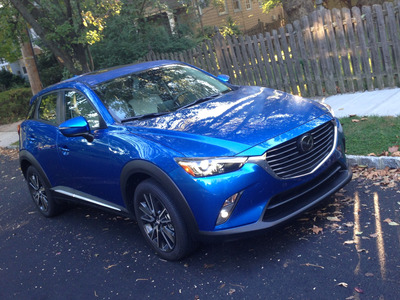 … Here’s the Rogue Sport. The interior fit and finish were good but not segment leading. The quality of some plastic trim pieces leaves much room for improvement. The leather-lined cabin in our top-spec SL model was rather impressive, but the reality is most Rogue Sports will have more plebeian cloth interiors. 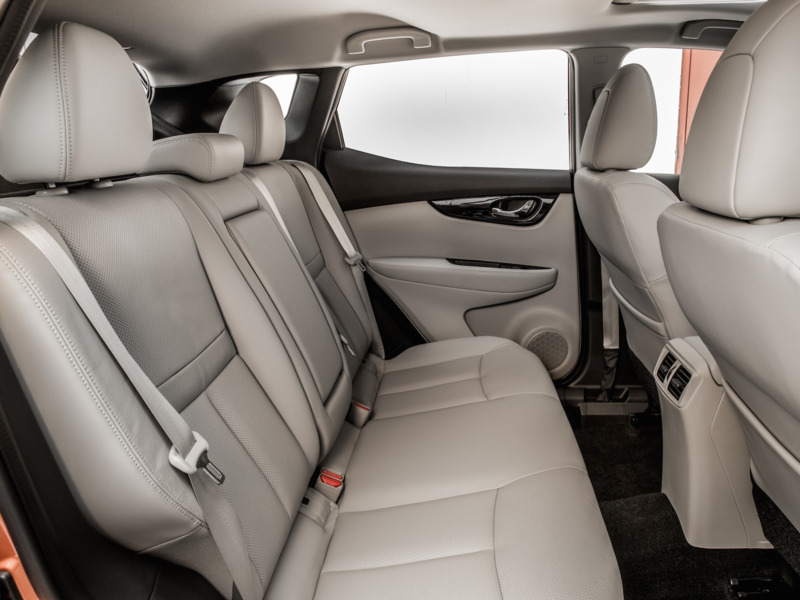 The back seat offers ample room for two passengers but may be a bit cramped for three. Headroom and legroom are adequate for most full-size adults. However, the seat’s upright positioning may be uncomfortable for some. The Rogue Sports comes standard with a five-inch touchscreen. However, our test car came equipped with the larger seven-inch screen seen here. 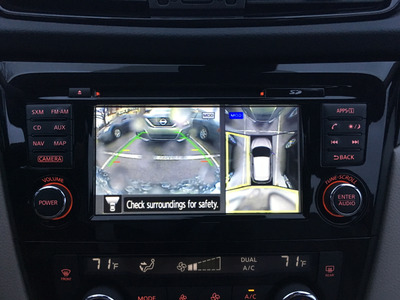 Both screens run Nissan’s corporate infotainment system. Infotainment is something that Japanese automakers have struggled mightily with over the past few years. 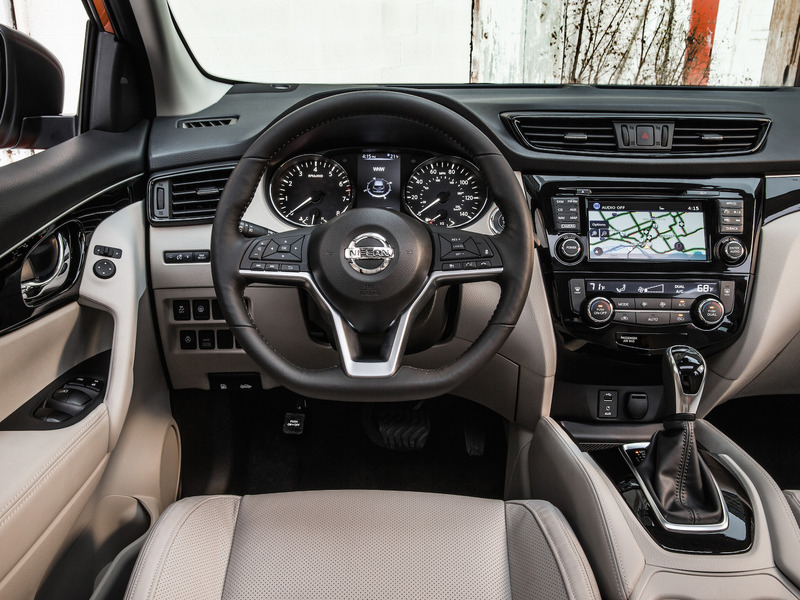 The Nissan system is a bit dated in design and presentation but proved to be simple and relatively easy to use. I’m glad they decided to stick with a touchscreen instead of migrating to a fiddly rotary dial or touchpad. Here, the touchscreen is accurate and responsive. It’s not the crispest image we’ve seen, but it should more than suffice for the what is required of it. One knock against the system is the lack of Apple CarPlay or Android Auto compatibility. It may be a turn off for some consumers. As usual, Nissan is fairly generous in terms of tech content. Leading the way is the company’s stellar Around View camera system with moving object detection that makes parking a cinch. It’s optional on the mid-grade SV and standard on our SL test car. Nissan also went all out on the driver’s aids. The Rogue Sport is available with blind spot warning, rear cross traffic alert, high beam assist, intelligent adaptive cruise control, lane departure warning, lane departure prevention, as well as forward emergency braking with pedestrian detection. Open up the rear hatch and you’ll find about 20 cubic feet of cargo room with the second-row seats up. Fold the seats down and that figure rises to 53 cubic feet of room. Nissan also equipped the subcompact crossover with its trick Divide-N-Hide cargo system. It’s quite useful when you don’t want your groceries rolling around the back of the car. The Nissan Rogue Sport is grossly underpowered. The 141 horsepower, 2.0 litre, naturally aspirated four-cylinder engine tries its hardest but lacks the grunt to keep up with the needs of this 3,400-pound crossover. The experience is made worse by a continuously variable transmission that dulls the delivery of what little power there is. The Canadian market’s standard six-speed manual transmission option would certainly help make things better for the select few who still remember how to use a clutch pedal. Regardless, the Rogue Sport’s acceleration is pedestrian. Speed happens eventually and only after putting up a fight. It will have to work hard to hit 60 mph from a standstill in less than 9.5 seconds. Car and Driver clocked the Rogue Sport at 10.0 seconds while Motor Trend got 9.8 seconds out of their test car. That means virtually all minivans sold in the US over the past 15 years will embarrass the Rogue Sport at a drag strip. Fortunately for Nissan, it’s a problem that plagues almost all of the tiny-utes that have debuted in recent years. 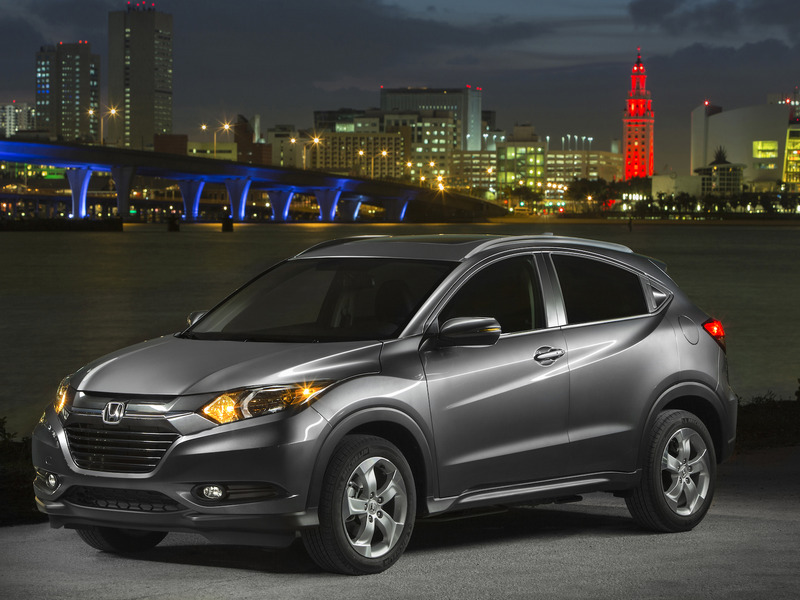 We were also disappointed with the acceleration of the Honda HR-V we tested last year. That one did 60 mph in 9.3 seconds with Car and Driver at the controls. We haven’t driven the new Toyota CH-R yet, but Car and Driver’s tester clocked in with an 11.0 second 0-60 mph run. Talk of drag strips aside, this lack of power poses a real problem on highway on-ramps and in high-speed passing situations. There simply isn’t enough grunt to get the car up to highway speeds in an adequate amount of time, especially when it’s weighed down with passengers and their stuff. Shifting gears yourself using the CVT’s artificial shift points helps makes it a little better, but doesn’t solve the problem. In addition, the loud, high-pitched drone the engine emits under hard acceleration is unnerving. It’s obvious the powerplant is being pushed to the upper limits of its performance envelope every time you need to merge onto the highway. And because the engine has to work so much harder to get the car going, the Rogue Sport’s fuel economy is actually one mile per gallon worse in the city and two MPG worse on the highway than the larger Rogue. The Rogue Sport really cries out for the outgoing Juke’s 188 horsepower, 1.6-litre, turbocharged four-cylinder. The lack of power is a real shame because the Rogue Sport drove quite well. Its ride is compliant without being too soft while its handling was tight and well tuned, even though the steering is a bit numb. 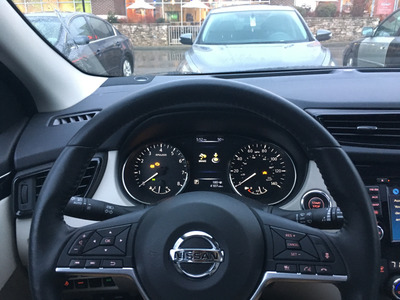 As a long-time Nissan owner, I’ve always enjoyed my experiences behind the wheel of its products. But I really didn’t like the Rogue Sport’s engine and transmission combination. It’s loud, wheezy, and gets worse fuel economy than the big brother Rogue. It really made me dread every time I had to engage in hard acceleration. I’ve honestly had dental procedures more pleasant. There’s a sizable number of potential compact crossover buyers who don’t really care about acceleration and for whom tepid performance is perfectly acceptable. If that person is you, then the Nissan Rogue Sport is right up your alley. So, is the Nissan Rogue Sport worth its asking price? Yes. It is. It’s got quite a lot going for it. It looks great, it’s got plenty of room, it’s comfortable, it’s loaded with tech, and it all comes at a very reasonable price. But don’t worry about rushing to your nearest dealership. It’s not going anywhere very quickly.